In Narrative Design , Madison Smartt Bell charges that the environment of the Iowa Writer’s Workshop fosters a “group mind” that produces “well-tooled, inoffensive, unexceptional, and rather dull” writing. 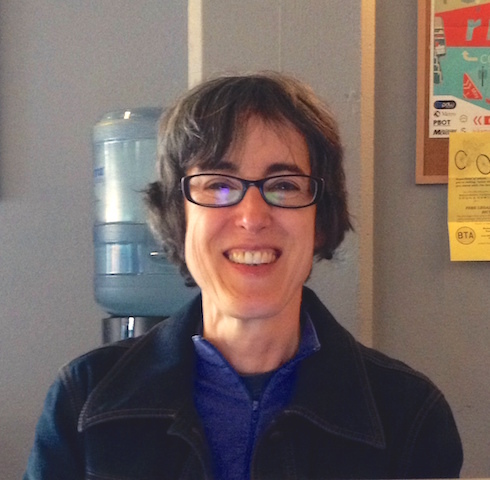 Marian Pierce is a Portland-based writer, editor, and professor of Creative Writing at Marylhurst University. She graduated from the Iowa Writers’ Workshop, so I took this opportunity to find out what the most formidable MFA program in the country was like, from the inside. How did your experience at the Iowa Writers’ Workshop shape your editorial philosophy? The late Frank Conroy, who was the director of the Workshop at the time I was there, emphasized that writing has to have meaning, it has to make sense, and it has to be clear. Meaning, sense, and clarity. Whenever I edit anything—be it technical writing, fiction, science writing, a dissertation, an essay or my own writing—I edit for those three qualities. I also learned close reading, not only from Frank, but from my other teachers, Marilynne Robinson and James Alan McPherson, as well as from brilliant classmates. Frank always had his students type up comments for our classmates when it was their turn to be “workshopped” and required us to turn in a copy of those to him. The formality of that forced me to clarify what I thought. While I was at Iowa, I formed an informal writing workshop with writers from the International Writing Program (IWP). I learned a lot from sharing writing with the IWP participants, who were from many different countries. I also did freewriting with several of them, notably Osama Esber, a poet from Syria (now in the US, with his wife and two children), for whom I have the utmost respect. He writes absolutely beautifully in English. He ran a publishing house in Damascus and had to flee, leaving his entire life behind. You got your start editing your classmates’ work. Did your workload increase dramatically at the Workshop? No. I was already used to editing. I’d read voraciously since childhood and when I was an undergraduate, I’d offer to read friends’ papers and give them comments. Long before I ever envisioned being accepted to the Iowa Writers’ Workshop, I formed a critique group of two with a yoga student of mine in Tokyo, Zita Ohe. Zita suggested that we help each other edit our writing, and at first I had a snobbish thought. How could Zita, who wrote articles about fashion for magazines, help me? But Zita turned out to be an incredible editor, and she also took me shopping at intimidating Tokyo department stores and found clothes I looked good in (she had been a fashion model)! In conversation, you mentioned that an MFA program is a degree in editing. Did the Workshop stress structural editing over creative invention? What I meant by the MFA being an editing degree is that we got to sit around with a bunch of smart people discussing how to make good writing even better. It’s easy to edit writing that is clearly problematic, but harder to edit good writing. One thing I discovered from having classmates give me comments on my own work is that I got the best comments—and I’m not talking about positive comments, necessarily—from the classmates who liked my writing, rather than the ones who didn’t. Does the Iowa Writers’ Workshop produce a “type” of writer, or an Iowa “brand” of fiction, as Madison Smartt Bell charges in Narrative Design ? I did not find that at all, at least not in my class. There was an incredible range of voices, styles and subjects. But “group mind” can occur in any group of people. Did the Workshop tempt you to experiment with copyediting conventions, or adhere to CMS? We certainly weren’t told to consult the Chicago Manual of Style . Probably the most temptation I experienced was when Marilynne Robinson gave us an assignment to write and turn in stories anonymously. By this point we’d all been at Iowa for a year and knew each other’s style. Or so we thought. Marilynne’s assignment gave us freedom to experiment and I honestly couldn’t identify who wrote anything with no name on any of it. So much for thinking I knew everyone’s style. How competitive were the students of the Workshop? Any juicy stories of creative subterfuge? The average age of the students in my class was thirty-five. I had two friends in the workshop who were in their forties. The class vibe was indeed amiable, but not aloof in the least. I was tremendously relieved and thrilled to be around like-minded souls. There were twenty-five students in my class, out of which nine of us were women. Katharine Stall had published a marvelous satirical novel called Den of Thieves . I don’t remember the other eight of us speaking of our ambitions. The men seemed to be more openly competitive, but how thrilled I felt when I topped the competition podium by winning the GQ magazine fiction contest at the beginning of my second year. How did the Workshop students blow off steam? Any good tales of mayhem or intrigue? Well, when you got off the plane at the Cedar Rapids airport and stepped out to see cornfields, you knew you were going to have to create your own entertainment. We all went to the Foxhead bar on Tuesday evenings after Workshop. All the famous writers came through Iowa City. I went to great parties for some of them. There were love affairs and liaisons, and relationships to this day. No vandalism, however. One terrible theft, I still remember—a classmate’s laptop with all her writing on it. She wept in class. James Alan McPherson took off the hat he always wore and threw a one hundred dollar bill in it. He passed the hat around, and everyone put in money. She was able to buy a new computer. I never forgot McPherson’s kindness and generosity. I’m sure she hasn’t, either. Marian’s novel Finding Land is available through the Multnomah County Library’s Library Writers Project.